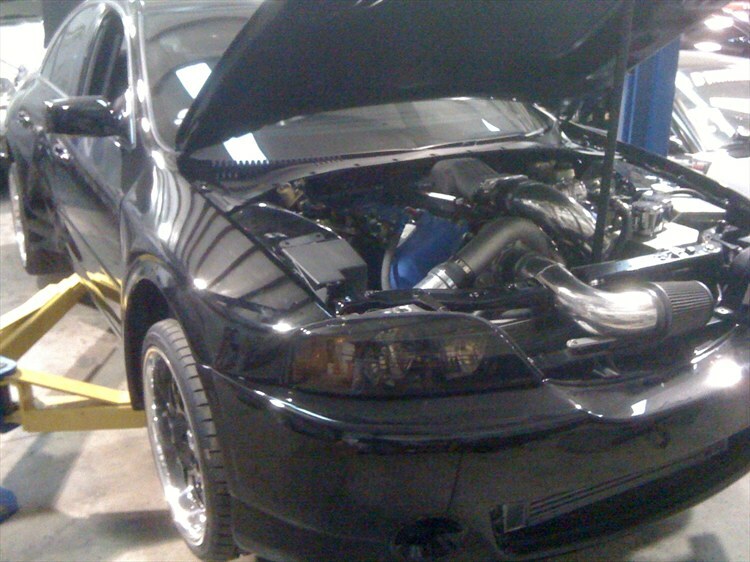 Home » The ultimate Lincoln LS engine swap: 4.6 DOHC, supercharger, widebody! We’ve been writing about the Lincoln LS and admiring it since it first came out in 2000 (and we’re an owner of a pristine 16k 2006). As we’ve said before in our Lincoln LS website section, and our Lincoln LS blog, this was a terrific piece of platform engineering by Ford and Jaguar code-named “DEW-98”. Highly aluminum intensive, weight saving measures all around, and designed from the start to underpin a variety of products ranging from a state-of-the-art future Mustang all the way up to a svelte and sophisticated Lincoln Continental. Unfortunately it only ended up being used for the Lincoln LS, a new Thunderbird, and the Jaguar S Type. It was dropped for a future Mustang and for other planned uses. What went wrong? Frankly, Ford Motor Company as a whole blew it here: the dealers didn’t know how to sell the LS, the quality (like all Ford products of that age) was poor, Little Billy Ford sliced and diced it’s planned enhancements (and anything else Jacques Nasser put in place), and in the end it failed. And, BTW, the LS is also exactly what Lincoln needs right now. Not another the overweight “purposeless” car like some current Lincolns have become, but a lithe sports sedan just slightly larger than the Cadillac ATS. But like a lot of great Fords, the Lincoln LS has a second and extended life with enthusiasts. Some of us are more or less “normal”, and some others are not. Below, behold a most definite “not”. 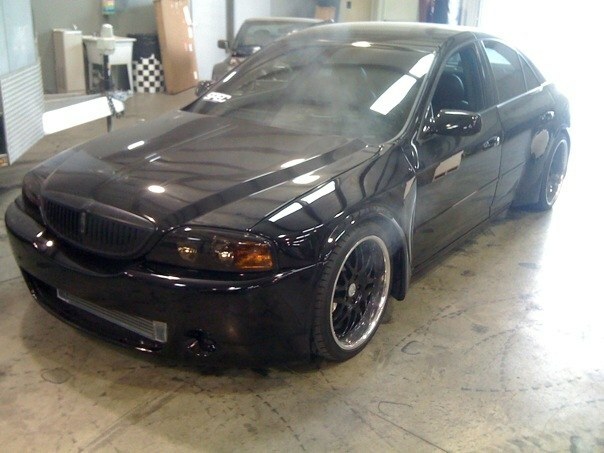 This is certainly the only Lincoln LS with a blown 4.6 liter DOHC “modular” engine. 745whp at 19psi. And that’s one big monster honking supercharger. And it’s topped off with a custom widebody! 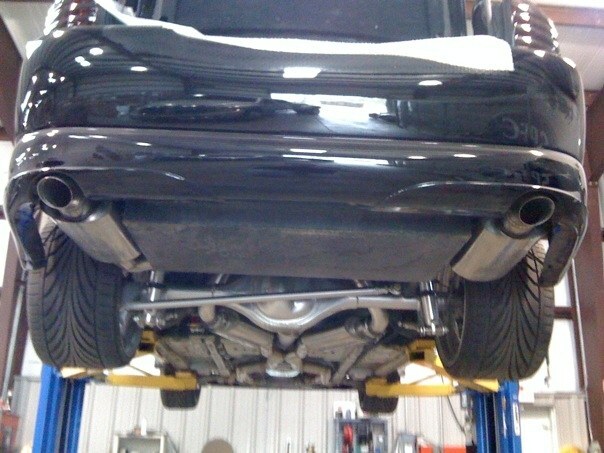 We wish full details were available… search for “DSR Motorsports” for what little is on the web. 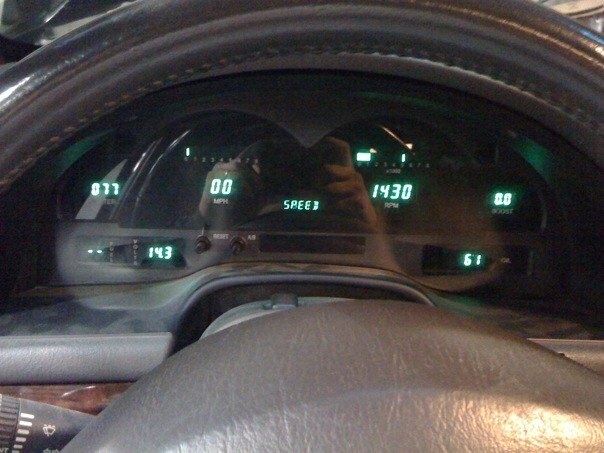 Then look under the hood and admire what you see. It’s the pure definition of “Hot Rod Lincoln”. Followup: like Pinterest? Visit our Driving Enthusiast Pinterest site for over 15,000 images, our Engine Swap Board for over 450 images, our Ford Engine Board for over 270 images, and our Lincoln Board for over 125 images. <Like> the Boards for updates going forward!